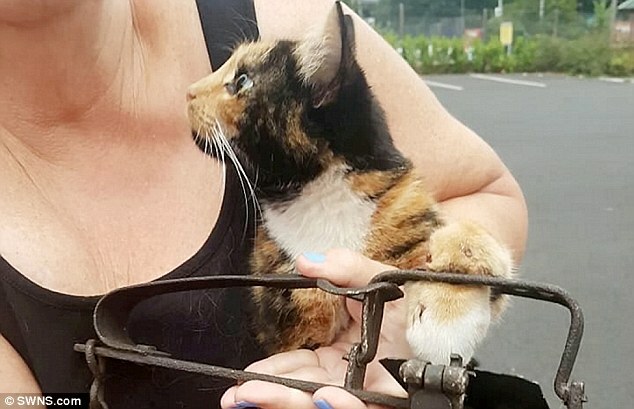 A mother-of-two has told of her horror after finding her beloved cat stuck in a deadly gin trap. 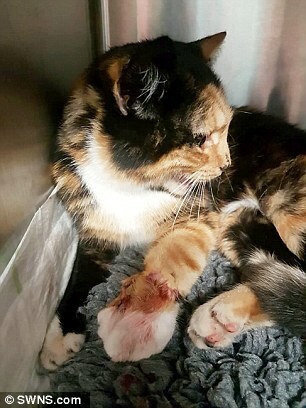 Horrific pictures show one-year-old Violet's bloodied paw caught in the jaws of the banned trap after she was rescued by Jodie Barratt, 33, from a neighbouring garden in Oldham. 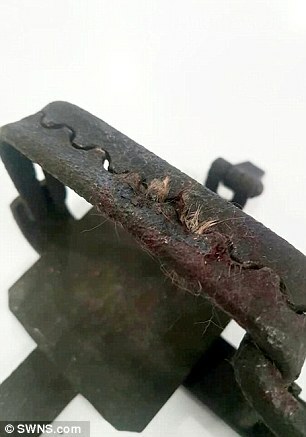 The sickening photographs show blood and hair remaining on the trap after Violet was freed. 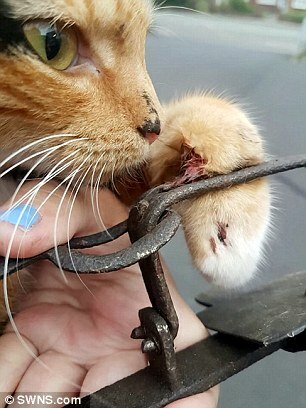 A 'gin-trap' is a mechanical device designed to catch an animal by the leg or head using spring operated jaws and is outlawed in the UK. 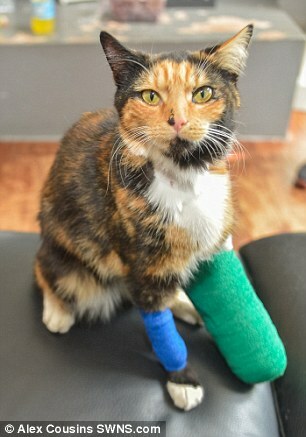 Jodie heard the cat screaming at around 7am on Saturday morning and rushed towards the noise. 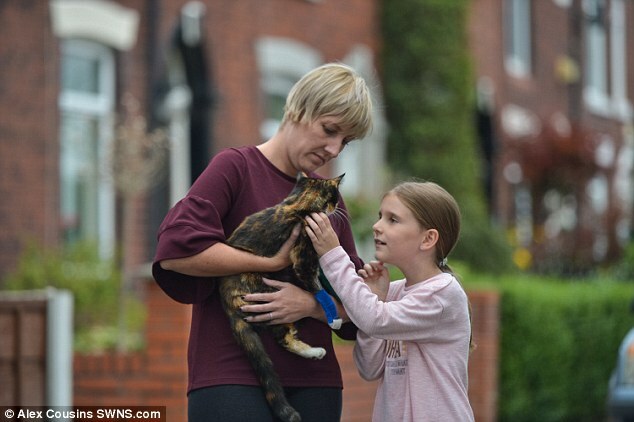 She found Violet stuck in the contraption on a neighbouring roof - after the cat had dragged herself up some steps and onto the top of the building. Jodie believes the trap must have been set by someone who hates cats. She said: 'It was absolutely shocking. I heard the screaming and I had honestly not heard anything like it. 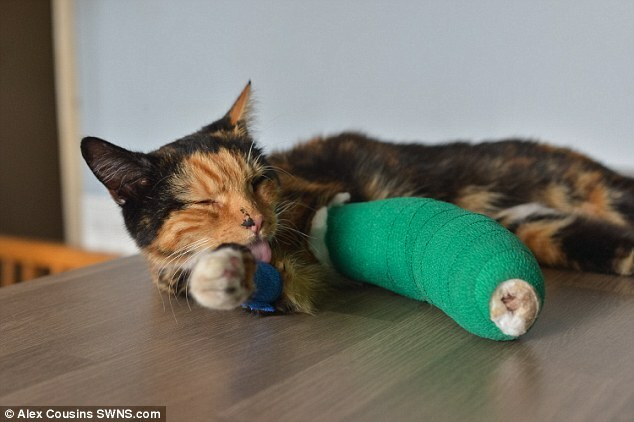 'The cat had dragged herself up some steps from a nearby garden and onto the roof next door, that is where I found her. 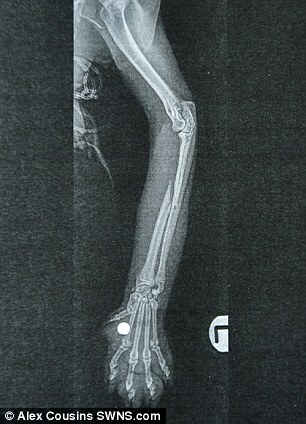 Violet is currently recovering at an animal hospital after she suffered a break in the bone in her paw. 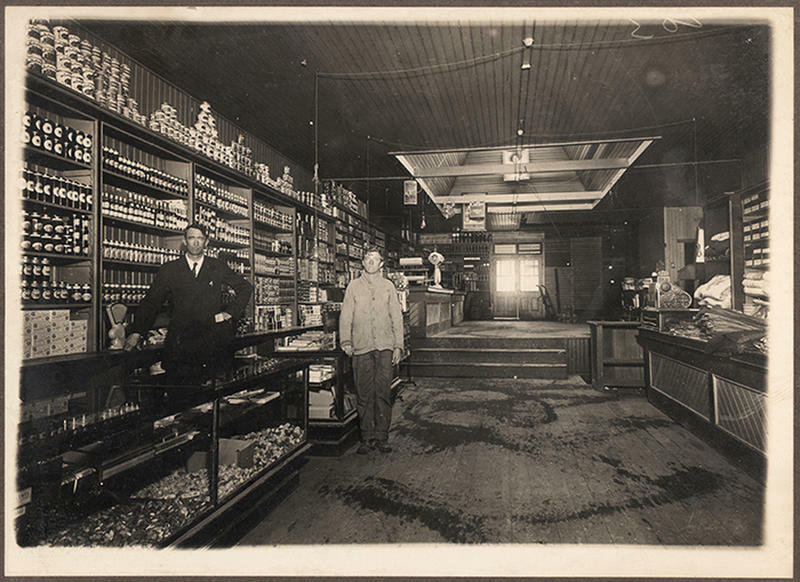 In England and Wales the Gin trap was banned in 1958 and in Scotland in 1971. 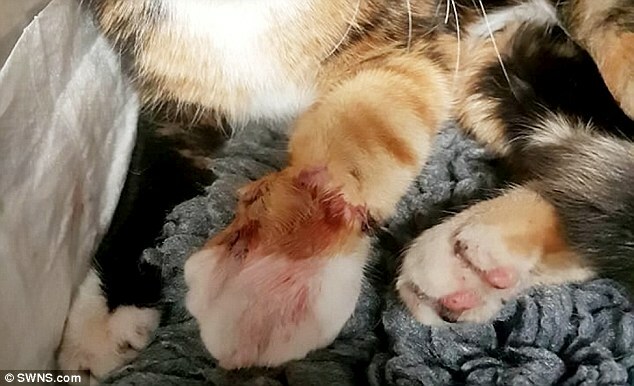 Jodie added: 'The trap has broken her leg and she could possibly have to have it amputated because the trap was on her paw that long because we couldn't get it off. 'Violet is my daughter's cat but I haven't told her what has happened. She doesn't really know much about it. 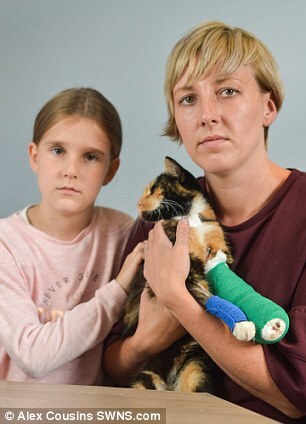 'She just thinks Violet has hurt her paw and had to go to the hospital. I just can't believe why someone would do this'. 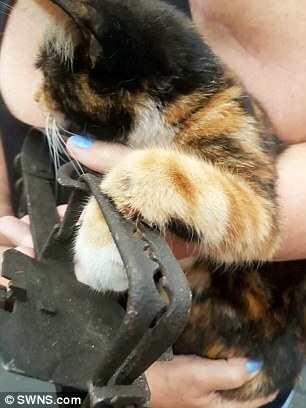 She added: 'I have never heard pain like the sound she was making when I found her in the trap. Jodie posted the sickening pictures on Facebook and the community have reacted with horror. The post has been shared more than 2000 times in 24 hours. 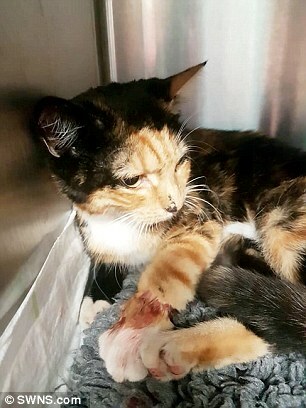 Jodie has now contacted both the police to make a statement and the RSPCA. There is no suggestion Jodie's neighbours were responsible. ""There is no suggestion Jodie's neighbours were responsible."" what? then i will suggest it; someone with both a knowledge of the cat and of the yard placed that evil trap = neighbors. F..king shoot them. Problem solved. What are the neighbours nationality. Enquiring minds want to know.